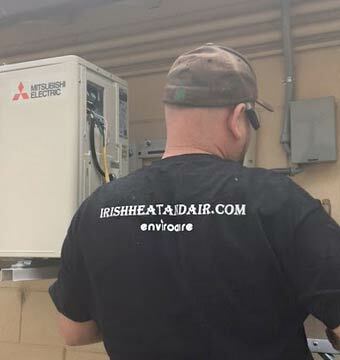 Consider Irish Heating and Air as the only choice for commercial HVAC, furnace replacement, and air conditioner repair in Ripon and surrounding areas. We’ve spent years creating happy, comfortable customers and our 5-star reputation speaks for itself. Why Choose Irish Heating and Air for Your HVAC Needs in Ripon? 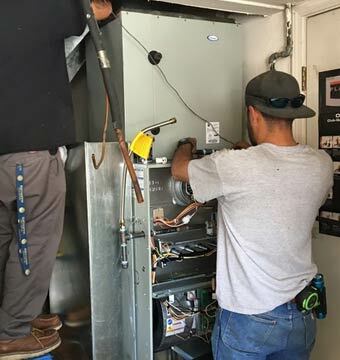 We understand that an air conditioner that’s on the fritz or a furnace that won’t heat up the house is a big deal to you and your family – or your business if your needs are commercial – and that’s why we do our best to get to you in a timely manner and solve your problem quickly. From the beginning, we will be straightforward and honest, letting you know just what to expect and what we charge with full transparency. Our team is fully trained and educated to handle what comes their way, and their fully stocked work trucks will keep them on the job site taking care of what you need, not running around the city looking for parts. Whether you need air conditioner repair in Ripon during normal business hours or find yourself in an emergency situation on the weekend, what we charge is what we charge. You won’t pay an extra charge for emergency services – and you’ll never be kept in the dark with hidden fees and costs you don’t understand. We will take care of your entire air conditioner, no matter what the problem is. It doesn’t matter what manufacturer, make, or model you have, we can repair them all. If you need furnace replacement or repair, we can handle that as well. We recommend routine maintenance packages on your heating and cooling equipment so you know it stays in great working order throughout the year. This also helps us spot problems that we can take care of to prevent furnace replacement and major residential and commercial HVAC repairs that you want to avoid. We service Ripon and the surrounding areas, taking care of all of Central Valley. 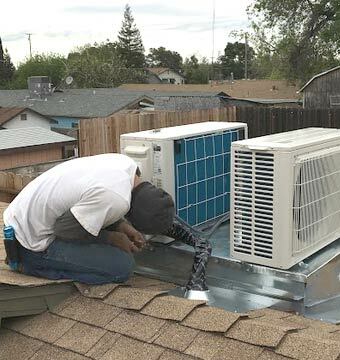 We keep our daily service area more narrow, but we travel further out for installation jobs including cities in Contra Costa and Alameda counties.